LBD & ONESIES - A Lifestyle Blog: Firmoo's August Giveaway! Eye maintenance can be quite expensive. When your eye grade increases, you also have to upgrade your glasses to match your current prescription. 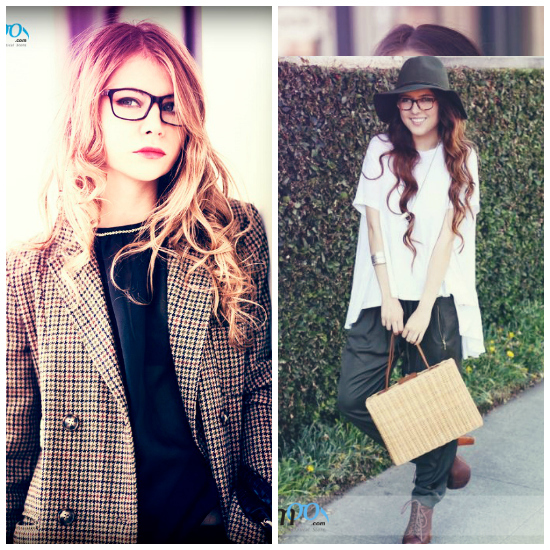 Good thing there are online glasses shop like Firmoo.com, which does not only offer the lowest prices of prescription and non prescription glasses online, but they also let you get your first pair of glasses from them for free via the First Pair Free Program! 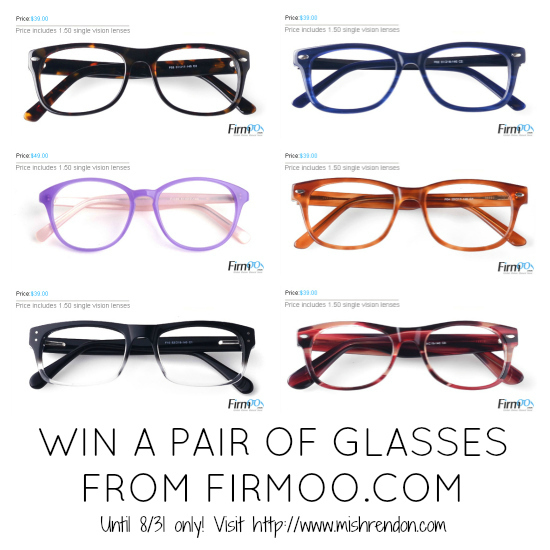 Two (2) pairs of free glasses or sunglasses for two lucky winners at http://www.firmoo.com/classic-series.html without shipping if there are less than 40 participants. Two (2) pairs of free glasses or sunglasses for two lucky winners without shipping and one (1) extra pair of totally free prize including shipping to another winner if the giveaway gets more than 40 participants. This is OPEN INTERNATIONALLY! But Firmoo ship only to these countries: US, Canada, Australia, New Zealand, Ireland, Austria, Belgium, Denmark, Germany, France, Finland, Netherlands, Luxembourg, Malta, Norway, Portugal, Sweden, Switzerland, Spain, Greece, Italy, England, UAE, Bengal, Argentina, Pakistan, Brazil, Russia, Peru, Mexico, Ukraine and Israel, Oman, Kuwait, Egypt, Qatar, Bahrain, Latvia, Romania, South Africa, Saudi Arabia, Jordan, Syria, Czech, Iceland, Slovakia, Slovenia, Papua New Guinea, Singapore, Malaysia, Thailand, Philippines, Hong Kong, Macau, Taiwan, Korea, South Korean, Japan, Vietnam, Cambodia, Mongolia, Indonesia, Poland, Hungary, Turkey and India. The giveaway will run from August 9 to August 31. Winners will be chosen through random.org and will be contacted through email. If you cannot choose a pair from the First Pair Free Program, you could opt to choose a pair from the Classic Series Collection! These glasses come in various designs for men and women. They have the most affordable prices in the web and the superb quality that you are looking for! PS, Don't forget to join my other ongoing giveaways HERE! Big frame look good on me atleast it can minimize my nose size hahahah!